Olympian and daughter to Olympic gold medalist Pepi Stiegler, Resi (RAY-zee) Stiegler was born and grew up in prime ski country (Jackson Hole, WY and Lienz, Austria). 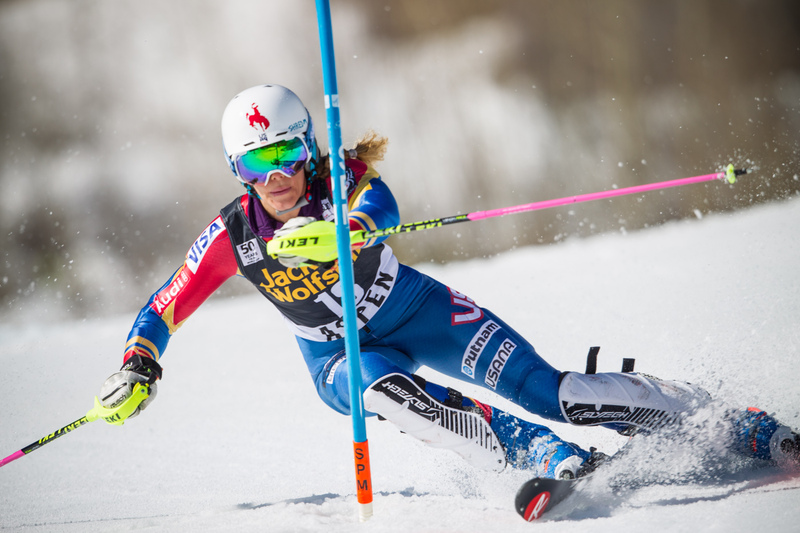 She’s represented the United States at every level of alpine ski racing—Topolino, Whistler Cup, Junior Worlds, World Cup, World Championships and the Olympics. She’s won Junior Worlds medals and U.S. titles and has stood on the World Cup podium. Stiegler may only be 30, but she has more experience than most people double her age. This U.S. Ski Team veteran entered the 2015 season as an independent, after not meeting criteria for the first time in her long career, but also with two consecutive injury-free seasons and full prep periods, which is something she had never experienced before. It paid off for Stiegler, who worked her way back to “A” team status for the 2016 season. Diving into a return-to-snow program with coach Bernd Brunner and teammates Thomas Biesemeyer (Keene, New York), Ryan Cochran-Siegle (Starksboro, VT) and Erik Arvidsson (Woodside, CA), fittingly dubbed “#teamresitommyryanANDerik,” Stiegler found comfort in a new family, and inspiration to fight. She battled back to what ended up being the best comeback season of her career, grabbing seven top-15 finishes, two top-10 finishes and was ranked 13th in the world in slalom. Next time you’re watching a World Cup race, keep a close eye on Stiegler in the finish. Whether in eighth or 25th, Stiegler comes through the finish and greets the crowd with a smile, throwing her arms up the air in celebration and laughing contagiously. The reaction? The crowd goes wild. This simple, pure act of joy is an example for all – whether it be her teammates or young competitors – to find joy in what you do for a living and share that joy with everyone around you.